D&D Technologies Magna-Latch Top Pull Series 3, Magnetic Child-Proof Latch | Hoover Fence Co.
MagnaLatch Series 3, the world's most trusted safety gate latch. Ideal gate latch for safety gates around swimming pools and child safety areas such as daycare centers. The MagnaLatch Top Pull raises the release knob out of children's reach. 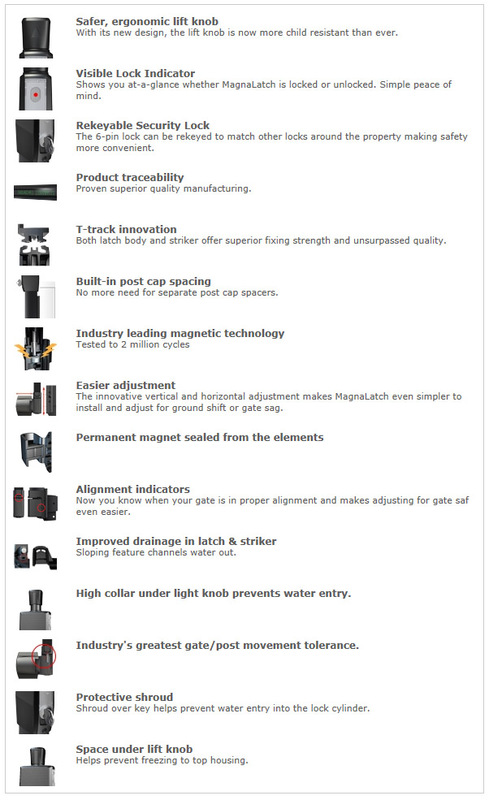 The MagnaLatch Safety Latch has just got even better with the MagnaLatch Series 3! It's impossible to keep an eye on kids all the time. That's why, for the past 25 years, millions of families have trusted MagnaLatch to keep children safe around residential and public pools, homes, childcare centers, and wherever safety is needed. Now there's the new MagnaLatch Series 3. It's the safest, toughest MagnaLatch yet. MagnaLatch Series 3 includes a new visible lock indicator, 6-pin re-keyable security lock, vertical & horizontal alignment indicators, and much more. It's been tested to 2 million cycles and it's 50% stronger than before. Simply put, it means you can recommend and install the new MagnaLatch Series 3 with confidence knowing that it's the world's #1 child safety gate latch. Key Lockable, Built-in 6-pin re-keyable security lock included with key. For duplicate keys, see local locksmith (KW5 blank). Fits square post and gate frame on all ornamental and vinyl styles of fence - adjusts from a 1/2" to 1-1/2" space between gate frame and post (1-1/2" to 2" gaps with optional 2" Spacer). Optional Round Post Adaptor Kit allows for fitting to round posts. NOTE: Most swimming pool codes require a latch on a gate protecting a swimming pool area be a minimum of 45" above the ground in order to put it out of the reach of small children. 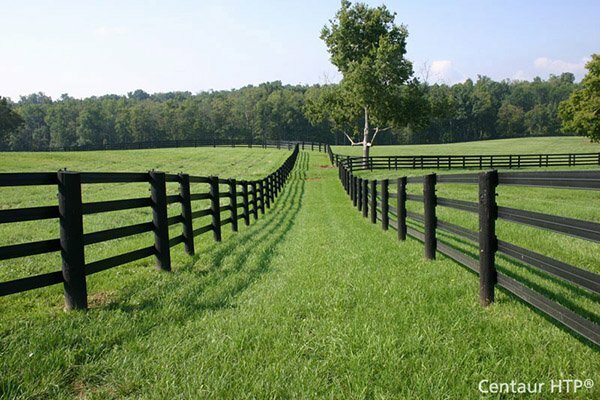 Standard gate posts on fences less than 5' high may need to be extended higher to allow the latch to be mounted higher.